ITECH Programmable PSU 60V 5A 100W IT6720 have the widest voltage and current utilization. ITECH introduces the digital-control DC power supply with the highest power ratio in the field, which have t..
LRS 36V 9.7A Compact PSU 350W LRS-350 series is a 350W single-output enclosed type power supply with 30mm of low profile design. Adopting the input of 115VAC or 230VAC (select by switch), the entire ..
e-Paper 2.9 Panel Enclosure The e-Paper 2.9 Panel Enclosure is great for the 4.2inch e-paper/e-ink displays. the enclosure is made from high-quality ABS plastic, which provides better strength and pl..
e-Paper 4.2 Panel Enclosure The e-Paper 4.2 Panel Enclosure is great for the 4.2inch e-paper/e-ink displays. the enclosure is made from high-quality ABS plastic, which provides better strength and pl..
7.5" e-Paper Raw Panel Case This e-Paper 7.5" Panel case is great for the 7.5inch e-paper/e-ink displays. The case is made from high-quality ABS plastic, which provides better strength and pliability..
Rectangular LED Red 2 X 5 X 7MM (10 Pack) We all know that you can never get too many LEDs. Don’t worry, we’ve got you covered. This is a pack of 10 Rectangular Yellow LEDs will have you lighting u..
Rectangular LED Green 2 X 5 X 7MM (10 Pack) We all know that you can never get too many LEDs. Don’t worry, we’ve got you covered. This is a pack of 10 Rectangular Green LEDs will have you lighting .. 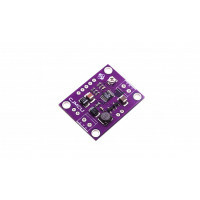 Wave TCS34725 Colour Sensor I2C This is a color sensor module based on TCS34725, will output RGB data and light intensity through the I2C interface. 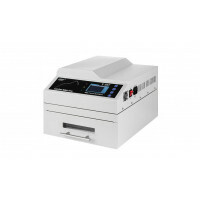 Its advantages include high sensitivity, wide dyna.. 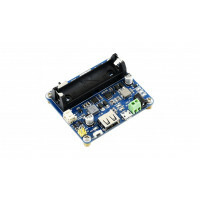 Wave Bluetooth 5 nRF52840 Module The Wave Bluetooth 5 nRF52840 Module is small in size and has a great performance stability. The unit uses the Core52840 and the nRF52840. The Core52840 is a Bluet..
e-Paper 2.13 Panel Enclosure The e-Paper 2.13 Panel Enclosure is great for the 2.13inch e-paper/e-ink displays. 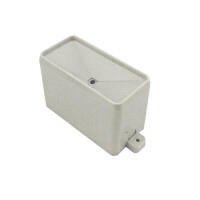 the enclosure is made from high-quality ABS plastic, which provides better strength and.. Wave 2-DOF Pan-Tilt HAT This is a 2-DOF pan-tilt kit designed for Raspberry Pi. With onboard PCA9685 PWM chip and TSL2581 ambient light sensor, it allows the Pi to control camera movement and sense l..
Rectangular LED Yellow 2 X 5 X 7MM (10 Pack) We all know that you can never get too many LEDs. Don’t worry, we’ve got you covered. This is a pack of 10 Rectangular Yellow LEDs will have you lightin..
Rectangular LED Blue 2 X 5 X 7MM (10 Pack) We all know that you can never get too many LEDs. Don’t worry, we’ve got you covered. This is a pack of 10 Rectangular Blue LEDs will have you lighting up..
T-937 Professional Reflow Oven 2300W 300 x 310mm The T-937 Reflow Oven is a micro processor controlled reflow oven. It can be used for effectively soldering various SMD and BGA components. It can be..
Wantai 8.4Nm Stepper + 10:1 Gearbox These powerful stepper motors can deliver 8.4Nm holding torque and is suitable for high end industrial CNC applications. The DQ860MA is good choice when selecting ..
Universal crimping pliers- 1.0 - 1.9mm PA-09 This is one of the most advance Crimping tools manufactured in Japan and is used the aviation and automative industry where quality is of utmost importa..
9V Battery panel-mount insert This a panel/flat mounting insert thats hold a single 9V battery cell, it is ideal for adding portable power to your electronics project. It fastens with two M2 screws..
9V Battery Clip Pro Version We all use the very these very popular 9V batteries. This PP9 clip action to open ended cable is great for all DIY battery connections. 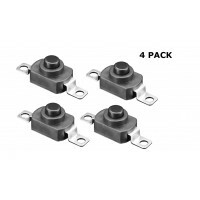 Quick Spec Cable AWG: 22 ..
GX30 14 Pin Panel Mount Connector Set The GX30 series of connectors is high grade industrial connectors. 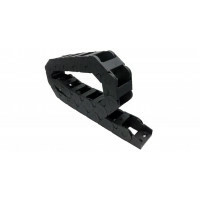 These connectors are typically used in high-voltage electrical connections such as those fou.. Solar 2A Battery Charger / Energy Harvester The CJMCU-3652 is a complete monolithic step-down battery charger that operates over a 4.95V to 32V input voltage range. The LT3652 provides a constant-cur..
Shield stacking headers for Arduino This Stackig Header kit is great for adding various shields on top on top of your Arduino, such as Protoshields, Motor Shields, Proto-Screwshields to get your Ardu..
3x4 Right Angle Male Header - 4 Pack Three rows in a right angle header are great for when you want to connect cables that come in sets of three with a pitch of 2.54mm, like sensors, or servos. These..
Enclosure Din Rail Mount 88X138X62 ABS White Din Rail mounting is becoming very popular for professional projects. 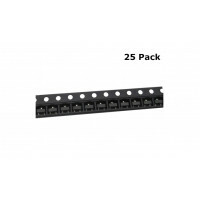 The 35mm DIN rail standard is the most popular. Here you have the standardised din..
Case 70x105x40 Clear Lid White This enclosure is perfect when you want to protect your project but still want to be able to see your components, constructed from high-quality Polycarbonate and ABS ..
IDC 2X20 Wide Connector Kit (4 Pack) This little 2x20 IDC Breadboard Helper is great in conjunction with any 40-pin IDC cables. It comes in two parts, a 'pin-through' socket and a male header. The so..
JST PH 3-Pin Socket to Cable This cable will let you turn a JST PH 3-pin cable socket into 3 individual tinned wires. 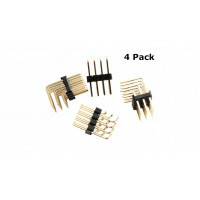 These are great to match up with our JST 3-PH cables, for extending and connectin..
JST 8 Pin Connector Kit (4 Pack) JST-XH connector standard is compact in design, but quite challenging to crimp and assemble. 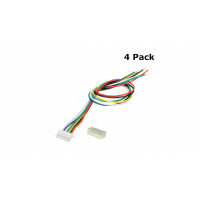 For quick prototyping we thought we give you a hand and bundle 4 x pre-cr..
IDC 2X5 Wide Connector Kit (4 Pack) This little 2x8 IDC Breadboard Helper is great in conjunction with any 16-pin IDC cables. It comes in two parts, a 'pin-through' socket and a male header. The sock..
1N4148 SMD Diode SOD323 (100 Pack) This is a very common signal diode - 1N4148. Use this for signals up to 200mA of current. Quick Spec Reverse voltage; 75V Average rectified current h.. Solar Power Management Board This solar power management module is designed for 6V~24V solar panel. It can charge the 3.7V Li battery through solar panel or USB connection, and provides 5V/1A regulat..
NKDH12048ZA2 Solid State Relay 480V 120A AC-AC This single phase solid state relay features a Dielectric strength of up to 4000V, photo isolation, zero cross polarization or random turn-on. It come..
NKDH12048ZD3 Solid State Relay 480V 120A AC This single phase solid state relay features a Dielectric strength of up to 4000V, photo isolation, zero cross polarization or random turn-on. It comes p..
NKDH24023DD3 Solid State Relay 220V 240A DC-DC This single phase solid state relay features a Dielectric strength of up to 4000V, photo isolation, zero cross polarization or random turn-on. It come..
Tantalum Capacitor Kit (6 Pack) Tantalum capacitors are electrolytic capacitors which use tantalum metal for the anode. They are polarized capacitors with superior frequency and stability characteris.. Neutral Bar Kit (4 way ,6 way, 12 way) Each of terminals is isolated from the other, preventing short-circuits through direct contact. The secure setting screws make reliable contact and help preve.. Smooth Idler Pulley, Bore 5mm, Width 10mm Quick Specs Material: Aluminum Alloy Tooth: None (Smooth) Bore: 5 (mm) Belt width: 10 (mm) Overall dimensions: D18x13mm Shippi..
ABS Enclosure 71 x 50 x 24 with mounting wings This medium size ABS enclosures comes in very handy when planning your next project. External mounting tabs makes this enclosure very easy to mount. T.. Battery Holder with switch - 2 x AA This 3xAA battery holder puts a nice finishing touch on your battery powered project. This holder features a removable, sliding cover, which is secured with a sm..
Adafruit GPIO Expander Bonnet The Raspberry Pi is an amazing single board computer - and one of the best parts is that GPIO connector! 40 pins of digital goodness you can twiddle to control LEDs, ..
Quick Specs Material : Plastic Internal Size : 25 x 38mm Color : Black Net Weight : 161g Package Content : 1 x Cable Drag Chain Shipping List 1 x Cable Drag Chai..
MC4 Solar Connector Set This connector is specifically designed for connecting photovoltaic solar systems with high mechanical requirements and extreme weather conditions. 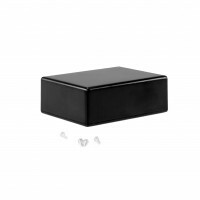 For permanent installatio..
ABS Enclosure 85 x 55 x 25 - Black These small ABS enclosures comes in very handy when building your next project. 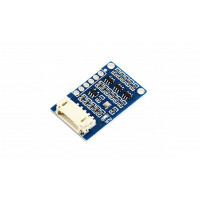 At about 2.7mm thick, this 72 x 50 x 25mm enclosure is perfect for small compact d..
Analog Joystick Module with case This small enclosed joystick module is perfect for adding movement to projects like RC cars or robots. 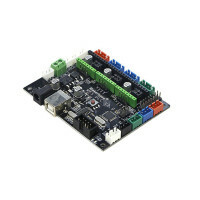 There are 5 pins on-board: VCC, GND, X, Y and Button. Connect.. Worm Gear Motor 60RPM 12V The turbo metal gear worm motor uses a metal gear box for durability and a high torque output. Due to the special mechanical structure of the worm drive the motor output sha..
ABS Enclosure 72 x 50 x 25 - Black These small ABS enclosures comes in very handy when building your next project. At about 2.7mm thick, this 72 x 50 x 25mm enclosure is perfect for small compact d..
Arduino CNC shield V2 - 3 Axis - GRBL Compatible The Arduino CNC Shield makes it easy to get your CNC projects up and running in a few hours. It uses opensource firmware on Arduino to control 4 ste..
MDS-60 DIY Metal Detector Module This small do-it-yourself metal detector kit is the perfect way to learn basic soldering while creating a small, fully functional metal detector. 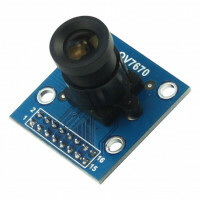 This metal detecto..
OV7670-V2 640x480 VGA Camera Module with I2C This is the new iteration of the OV7670 VGA Camera + I2C inteface, based on the popular OV7670 image sensor. This camera module can buffer an entire VG..
JST-XH 5 Pin Connector Kit - Pitch 2.5mm (4 Pack) The JST-XH standard has a 2.5mm pin spacing. On the one end is a 5-pin JST-XH male connector and on the opposite end bare cables. It also comes wit..
Switch Lock Red 3A 250V Square(4 Pack) These push buttons are attractive in appearance. The push buttons can also be used in SMART CAP systems where one can input device products, etc. 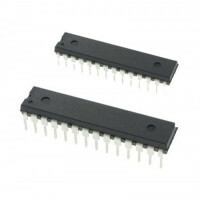 Quick Spec ..
Tactile Switch Kit - SMD - Size 6x6 mm - (200 Switches) Tactile (TACT) switches is small compact micro switches. They are very handy in projects and this kit has a nice assortment of 10 different h..
D1 Mini LiPo Battery Shield with charger and boost regulator This lithium battery shield provides a means of powering your D1 mini, or D1 mini Pro from a single cell (3.7V) lithium battery via a JS..
Spacers 6mm + Screw + Nut Kit (10 Pack) These PCB Standoffs use tapered screws, so no screws sticking out of your enclosure if correctly mounted. The nut and bolt is made from stainless steel and t..
Mini Hooks + Wires (7 Hooks) The mini hooks are great for multimeter lead wire test hook clips when you need to grab small parts and avoid sensitive circuitry. 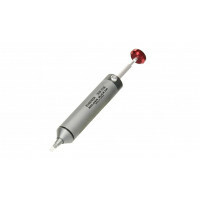 It will help you test the integrated ci..
RPR220 Reflective Sensor This tiny reflective sensor uses a plastic lens for high sensitivity and features a built-in visible light filter that minimizes the influence of stray light. Quick Spec.. Wave BME280 Enviro Sensor A tiny sensor breakout with BME280 onboard, sensing environmental temperature, humidity, and barometric pressure. It supports both I2C and SPI interfaces, also is compatib..
Opto Isolator 24-5V Module This is a uni-directional 24VDC to 5VDC level-shifter with complete isolation. A practical use of such a device is to use an output signal from a 24VDC system such as from ..
Coupler Direct 2mm-5mm Fixed couplers are used to connect various stepper motors, servo motors, AC or DC motors to ball screws, lead screws, rods and shafts. They are widely used to build CNC Router,..
Aluminium Heatsink 8.6mm x 9mm x 12mm (4 PACK) These aluminium heat sinks are the perfect size to fit most small components for onboard heat dissipation. Dimensions Shipping List 4.. Wave IR Reflective sensor This reflective infrared transceiver from Waveshare features a wide range voltage regulator (LM393) with adjustable sensitivity as well as signal output indicator Quick..
Sonoff Wall Touch - 3 Way The Sonoff T1 US Smart Wall Touch Switch series are 1-3 gang US/AU standard WiFi RF remote control luxury smart light switch. The wireless wall switch can be added to iOS/An..
Sonoff Wall Touch - 2 Way The Sonoff T1 US Smart Wall Touch Switch series are 1-3 gang US/AU standard WiFi RF remote control luxury smart light switch. The wireless wall switch can be added to iOS/An.. Robot Base Disk Slewing Bearing 120mm This slew bearing is intended for use where you need a low load-bearing device that must be able to rotate in a vertical or horizontal position. Dimensio..
23N50E N-Channel Mosfet 500V 23A This N-channel mosfet unit maintains both low power loss and low noise. It gives controlled switching by making use of gate switching. Quick Spec Dimension..
Power Supply for Pi Zero This multi-input power supply buck-boost converter fits on top of a Raspberry Pi (any sort!) and lets you power it with up to 3 different input ports, so you can keep powered..
Adafruit USB C Breakout USB C features a symmetric/reversible connector, more data pins and higher current output capability. But, for most developers, the pin usage you know and love from older USB ..
Google AIY Voice Kit for Raspberry Pi V2 Google AIY Projects brings do-it-yourself artificial intelligence to your maker projects. With this AIY Voice Kit from Google, you can build a standalone Goog..
Surge Protection 12/24V This 12/24V Surge Protector is easy to install, and can be used to protect the data transmission of signal controlling systems, such as; computer communication systems, CCTV s.. Whip antenna 433 MHz 3 Dbi This is an UHF 433 Mhz whip antenna with a 3 dBi gain. 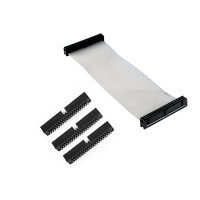 It comes with a well produced metal magnetic base for simple mounting. Quick Spec Frequency: 433MHz An.. 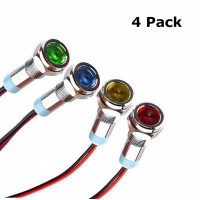 LED Red 3mm (10 Pack) We all know that you can never get too many LEDs. Don’t worry, we’ve got you covered. 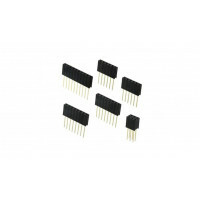 This is a pack of 10 LEDs all conveniently packaged. Make that next project shine! 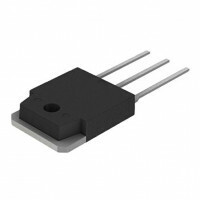 Quick..
INA3221 3 Channel Current sensor with I2C The INA3221 is a three-channel, high-side current and bus voltage monitor with an I2C- and SMBUS-compatible interface. The INA3221 monitors both direct vol..
HDMI Switch + Video Recorder This HDMI Recorder is a device that records HDMI video and audio in a digital format to USB flash drive. By this HDMI Recorder, the input resources of HDMI and microphone..
Pressure Sensor 0-30Bar I2C This pressure sensor uses the MS5837-30BA which is a new generation of high resolution pressure sensors with I2C bus interface for depth measurement systems with a water d..
MISOL Rain Bucket Sensor This Rain Buacket Gauge is designed to work with the MISOL Weather Station Pro. The tip of the tipping bucket can hold up to 0.3537 mm per tip. Resources Connecting..
USB to RS485 - 3 Pin Running MODBUS/RTU over an RS485 network is pretty cool, in an old-school way. The technique was invented decades ago, and allowed you to connect to a few dozen MODBUS devices ov..